RV camping in Osoyoos opens the door to all kinds of activities and adventures. Osoyoos is surrounded by natural beauty and fun things to see and do. Plan your RV camping trip to this exciting destination, and you'll be coming back year after year. 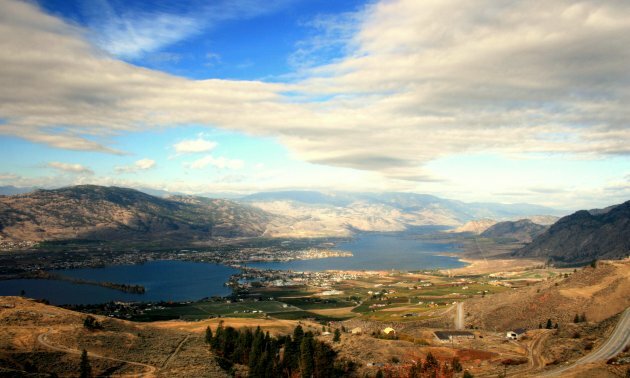 Climate: Osoyoos boasts a warm, arid climate and is ideal for RV camping from spring through fall. A cultural venue with outdoor activities and interactive exhibits. Come here to learn about this delicate desert ecosystem and see rare species. Visit North America's first winery to be owned by First Nations people. This is a pristine park with warm water for swimming and sports, and lush campsites. This western-themed amusement park offers great entertainment at reasonable prices. Osoyoos hosts a regular farmer's market, including an evening market, between May and September. Come to Gyro Beach for this annual summer music festival. With a parade, pageant, beer gardens and more, this annual festival is a community favourite.